$8699$86 and 99 cents$51.17 / oz. $9399$93 and 99 cents$55.29 / oz. Christian Dior perfumes include a wide range of fragrances for both men and women. The variety of different scent profiles allows you to choose the perfect one for any given situation. Christian Dior has several scents in the Dior line. When choosing between Christian Dior perfumes, the specific scent of the perfume is often the most important consideration. In general, lighter scents, such as the floral scent Christian Dior Miss Doir, are intended for use during the day. 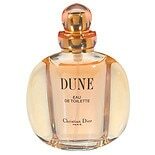 Other spray perfumes, such as Miss Doir Cherie, are intended for evening use. Miss Doir Cherie features a stronger floral scent profile that includes notes of violet, patchouli, strawberry leaf, jasmine, musk, and mandarin. 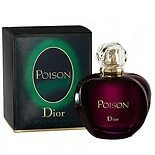 Other eau de toilette sprays have deeper, Orient-inspired scents, including Christian Dior Hypnotic Poison, which has notes of amber, jasmine, almond, and woods. Men can use Christian Dior Homme, a modern, masculine eau de toilette spray. Most Christian Dior perfumes come in two sizes, a 3.4-ounce bottle and a 1.7-ounce bottle, which is the perfect size for travel. While Christian Dior perfumes are a popular choice for both males and females, there are plenty of other brands and styles you can choose from as well. In addition to eau de toilette sprays, Walgreens.com also carries eau de parfum sprays, body sprays, and body mists. You should also try to coordinate the scent of your perfume with the scents of other scented body products you use, such as shampoo, conditioner and body wash.